In February, a new store opened on Sukhuvmit Soi 49. 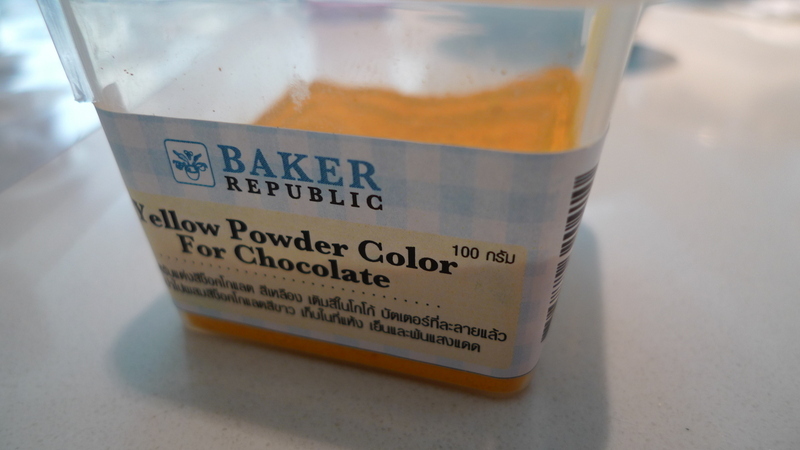 Called Baker Republic, it specializes in the supplies candy and cake-makers need to produce the finest desserts. In the run-up to Valentine’s Day, they offered complimentary chocolate making classes, for which Chow and I signed up. 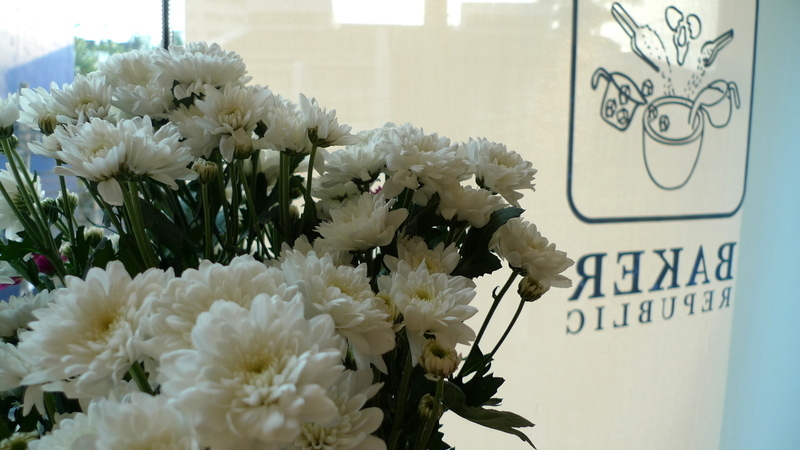 Fresh flowers add a touch of elegance to Baker Republic’s light-filled store on the second floor of the 49 Terrace shopping center. The shop is owned by a family whose business is importing packaged foodstuffs. Since many of the brands they import sell goods used for baking, opening a shop like Baker Republic was an obvious next step. On the right side of the picture is their climate-controlled chocolate storage room. Like a humidor for fine chocolates, this room ensures that the chocolate you buy is at its very best. As part of the class, we were invited to conduct a chocolate tasting, working through different brands and different percentages of cacao. As hard as it was, I forced myself to put up with this tortuous task! By the end, I had confirmed that I prefer darker chocolates to lighter ones and more expensive chocolates to cheaper ones. Some of the other baking supplies offered at Baker Republic. 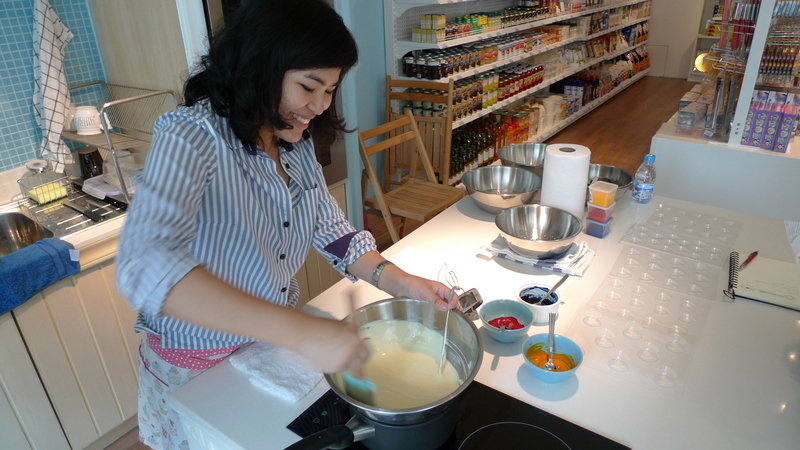 From candles to sprinkles, fillings to flours, they seemed to have just about anything you would need in order to bake. Now, an interesting question arises here: do enough people in Bangkok bake to really give a shop like this a chance to survive? Most city homes don’t have ovens, at least not full-size baking ovens. 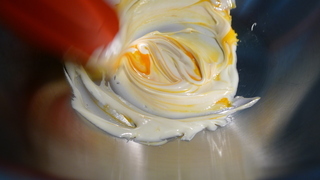 Our instructor started with white chocolate, melting it on top of a bowl of simmering water in order to “temper” the chocolate. I had heard of the process before but hadn’t understood it. 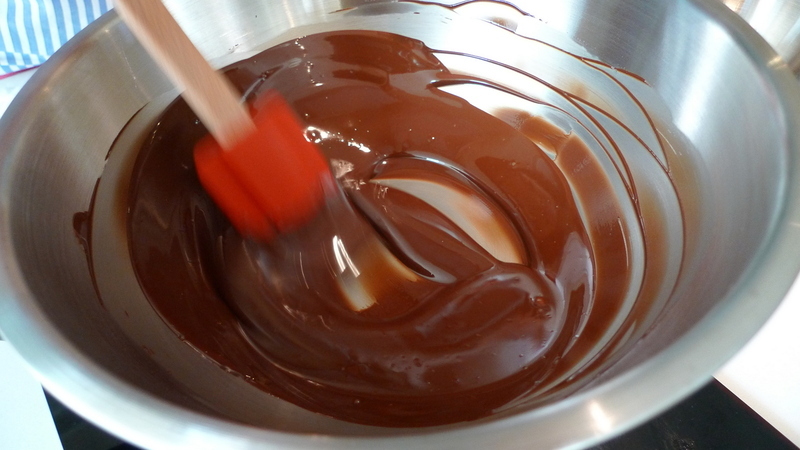 Tempering is the process of controlling the size of the cocoa butter crystals. When the crystals are of a uniform, small size, the surface of the chocolate will have a uniform sheen and it will snap when you break it. Untempered chocolate will have irregular, larger crystals and the surface will have a matte appearance, crumbling when you break it. There are a few different methods to temper chocolate but the result of each is that you bring the chocolate to a high enough temperature to melt all the cocao butter crystals, then cool it slowly to a point where the medium- and small-size crystals form, stirring all the while. Finally, you again heat the chocolate, but only to a temperature where the medium-size crystals melt. Yes, it is a little tricky. 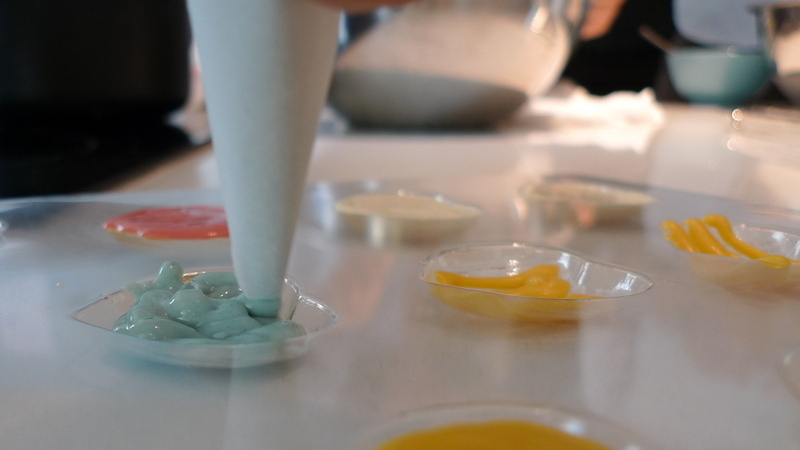 To make different colored chocolates using the white chocolate as a base, we added food coloring. 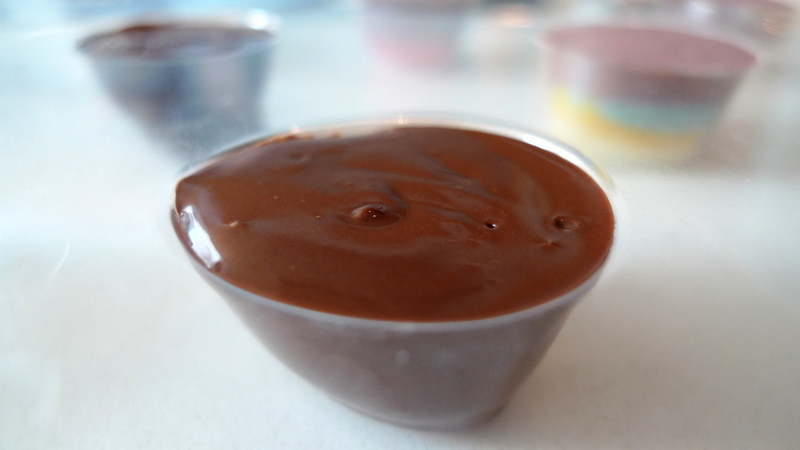 The secret, though, is that you have to use an oil-based food coloring with chocolate. 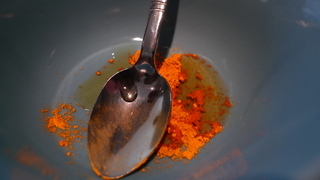 Water-based colorings, such as those you use when baking Red Velvet cake, won’t work. 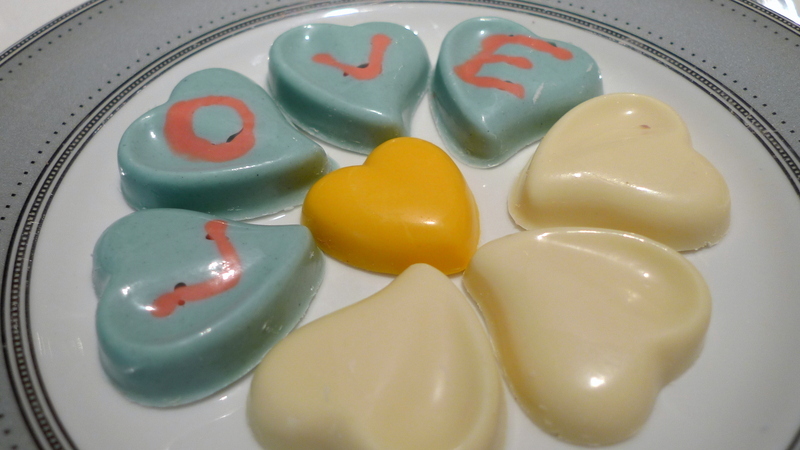 From left: the powdered food coloring mixed with a small amount of melted cocao butter; the resulting paste dribbled onto tempered, partially-melted white chocolate; and then the color being stirred into the chocolate. 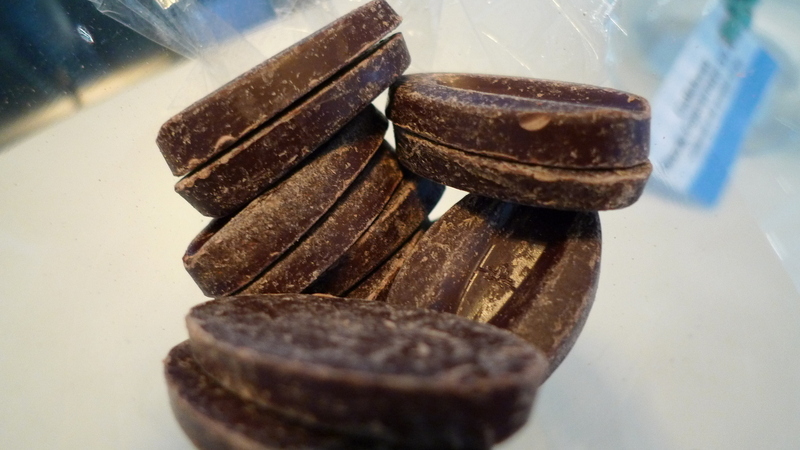 Parchment paper bags were filled with the chocolate and we started filling the plastic molds. 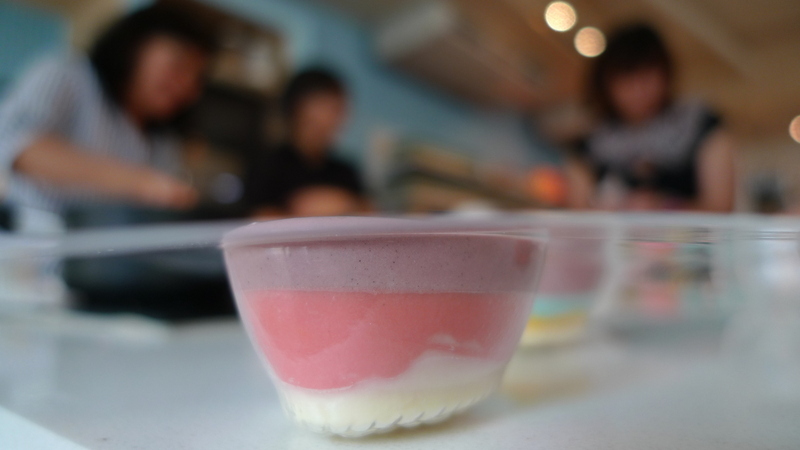 Above, Chow tries her hand at filling the molds so that there are no air bubbles. One thing I quickly learned is that you don’t have nearly as much control over the squeezing of the chocolate as you think you do. I suppose it takes a practiced hand to build sufficient technique. Trying to get fancy, I add layers of different colored chocolate, popping the tray into the refrigerator for a few minutes in between each layer to help it set. Mid-way through the process you can see some filled molds as well as others where I’ve tried to add squiggles that will then be topped with chocolate of a different color. Trying to create fine, thin lines of chocolate was a challenge. The goal was to not have any air bubbles, so after filling the trays we would tap them on the counter several times, then hold them up and inspect them. You can see several bubbles around the yellow squiggles where the purple chocolate hasn’t filled in the spaces completely. Next, we moved to dark chocolate. 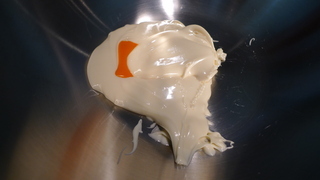 Truth be told, I don’t much care for white chocolate, although it can more easily be colored. Close-up of my chocolate molds. Again, you can see the challenge with air bubbles. As you tap the trays on the counter, the bubbles work their way to the surface. But if the chocolate has cooled too much, the shape of the popped bubble holds and you don’t have a pleasantly smooth surface. 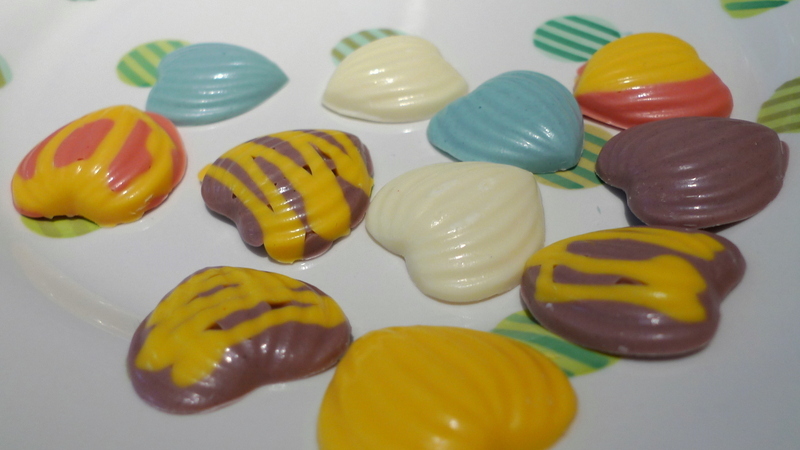 These are the very chocolates that appear (finished) in the first picture of this entry. After about twenty minutes in the fridge, the chocolates popped right out of the molds. You can see where those bubbles on the purple and yellow striped chocolates never went away. The chocolate was nicely tempered, though, and had a nice sheen and pleasant snap. The other two students, in honor of St. Valentine’s Day, used heart-shaped molds and piped the letters L-O-V-E – backwards and upside-down, nonetheless – to create this cute presentation. After this experience, I’m inclined to think that, just as with baking macarons, making chocolates is one of those skills for which it is better to just pay for someone else’s expertise! That said, I really enjoyed the opportunity to learn more about chocolate making at Baker Republic. This entry was posted in Uncategorized and tagged BakerRepublic, baking, Bangkok, Chocolate, cooking, dessert, food, Making, Thailand by christao408. Bookmark the permalink. Wow… that is quite a process. I enjoyed reading about it, thanks! Your entries are always so beautiful. Love chocolate tasting but never tried to make any. i remember as kids, my mom used to make chocolates. she never bothered to temper the chocolate so it didn’t have that sheen, nor was she into fancy decorations or coloring the chocolate… but she would make little chocolate candies and lollipops to wrap and give away or use as party favors. i remember sitting there tapping out all the air bubbles! she still has all the molds… maybe i should borrow some and make chocolate again (although i’m not sure where to get the chocolate). Listen man, I hope you were aware that chocolate is a aphrodisiac. So if you were feeling a bit funny and excited later on at night, now you know why. Looks like fun! But have to agree with the “best left to the experts” plan. I agree. 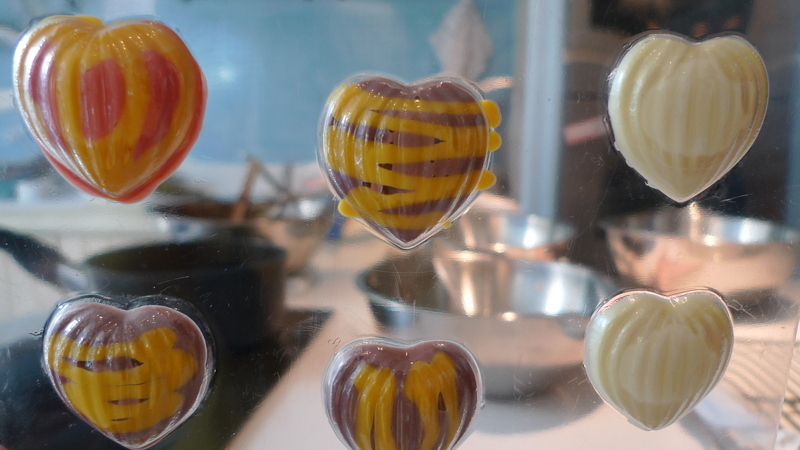 Making such delicate and appetizing pieces of chocolates is not for the faint of heart. 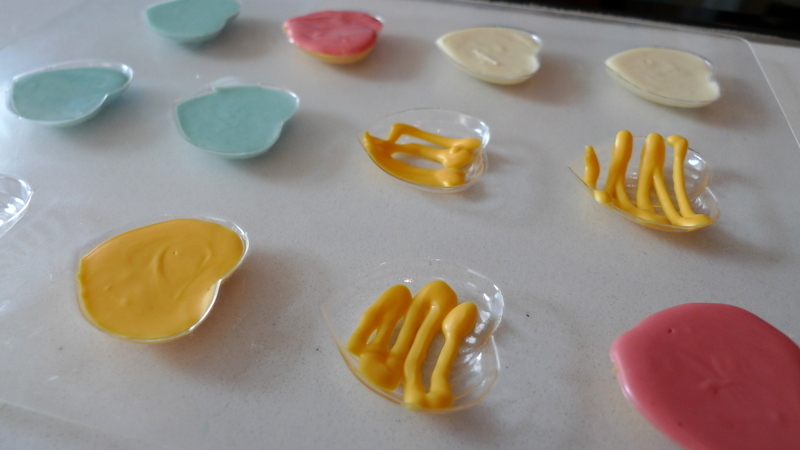 I would have given up half way into putting them in the molds. That looks like it was fun….and deliciously so! Now, thanks to you, I’m hungry for chocolate and just remembered I have an individual sized piece of double chocolate cheesecake in the freezer….so ‘bye!!!! looks like a fun class and gives me an idea to check out the coummuntiy classes this fall to see if a similar one is availbale. @lucylwrites – @gasdoc73 – Thanks to both of you for the recs. It was a bit of a time-consuming process but at least the results were sweet. @grannykaren – You’d think that most continuing education services through local colleges would have something like this. @Gma_Joyce – How convenient that you had a piece of chocolate cheesecake standing by… just in case! @ZSA_MD – @murisopsis – At least now I can fully appreciate just how much work goes into making chocolates. 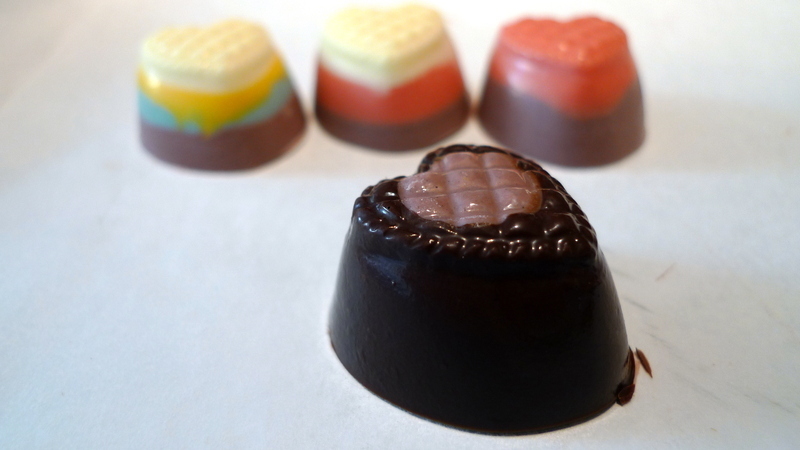 @CurryPuffy – Oh, I *did* make the chocolates in the first photo, too! @Redlegsix – You might find it interesting, Ruth, that it is Japanese housewives who are the primary target audience. 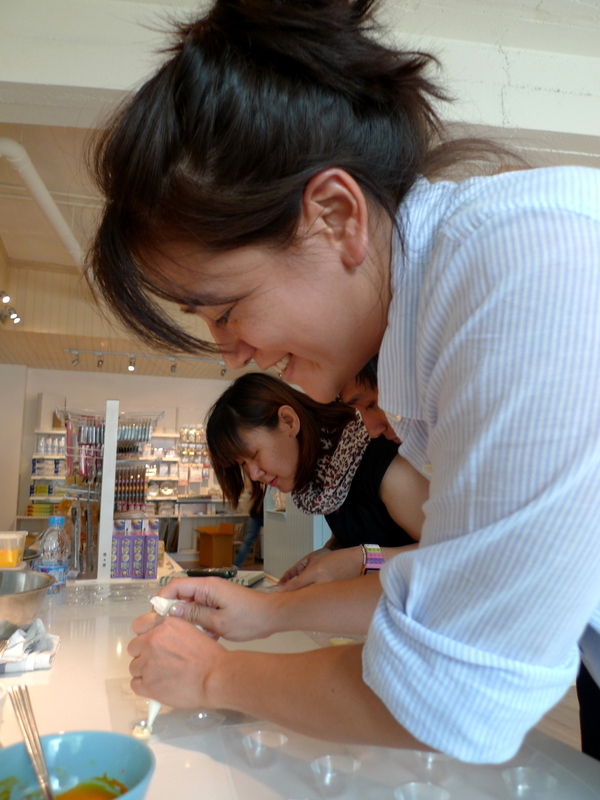 Japanese make up our largest group of expats and it is almost always the husband working at the job and wife home with the 1.5 children. It seems that cake baking and decoration is very popular among that group. @catstemplar2 – And it has caffeine, too! @kunhuo42 – Well, now that you have all sorts of free time on your hands, Dr. Aaron, I think you should take up chocolate making! @Fatcat723 – That’s okay. In this world, some people are called to be chocolate makers. Others are called to be chocolate eaters. We need both! @Devilzgaysianboi – I’m not sure if that was the *intended* effect of this entry, but if that’s what it makes you want to do, then I won’t stand in your way. Never get between a man and his bag of chocolates, right? @stepaside_loser – Actually, a friend of mine doesn’t eat chocolate. For the longest time, he was maintaining that it was a medical reason. Finally, he confided one day that it was simply a dietary reason. @Passionflwr86 – Glad you enjoyed the entry, Meg. Yes, it is a bit of a process, isn’t it? I’ve never worked with chocolates before. It looks and sounds so complicated and exacting. I also don’t have enough people to eat my mistakes. Thanks for explaining what tempering means.